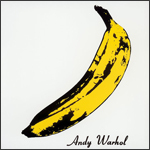 The Velvet Underground & Nico is the perfect Sunday morning album. It’s the perfect Saturday night album. Close your eyes. The perfect Friday night album. Thursday afternoon, anyone? I’m listening right now. It’s Wednesday. I don’t have a spike in my veins but I’m feeling the rush and it never felt so good. This record is a time machine to a magical, pre-Valerie Solanis fairy tale. Andy had it right. Welcome the outsiders, come one, come all. In the Factory, everyone was a star. Nico—the poster child for lost souls—was a mighty empress. Candy Darling wasn’t a drag queen, she was glamour and glitz and now, eternal. And who’s that sitting between Andy and Edie? It’s that warm fuzz of intoxication. That is how it feels to be welcome, as you are. The music of The Velvets mirrored this spirit. You want to try and fit a domineering viola in between the tight squeeze of two dueling guitars? Not a problem. Moe will pound it out and make it one. How about bringing in Nico for a few? Andy thinks it’ll be just great. Sit back, stay awhile. Kick off those heels and put your calloused feet up after a lifetime of searching. Celebrate differences. Women are men, and men are women. Lick those luscious Maybelline lips and just be gorgeous, dahhhling. It’s all cool. It’s all so really really cool. Feel like moving? Stand up, turn your arms into silver streaks and sway back and forth in the Exploding Plastic Inevitable. We’re all stars now, and not just for fifteen minutes but forever.